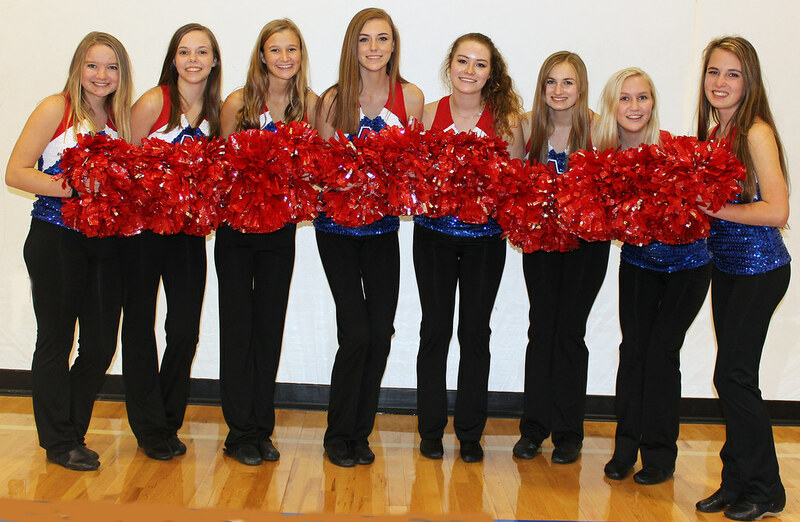 High School Cheer experienced another year of growth in 2016 with the addition of the Pom Squad. 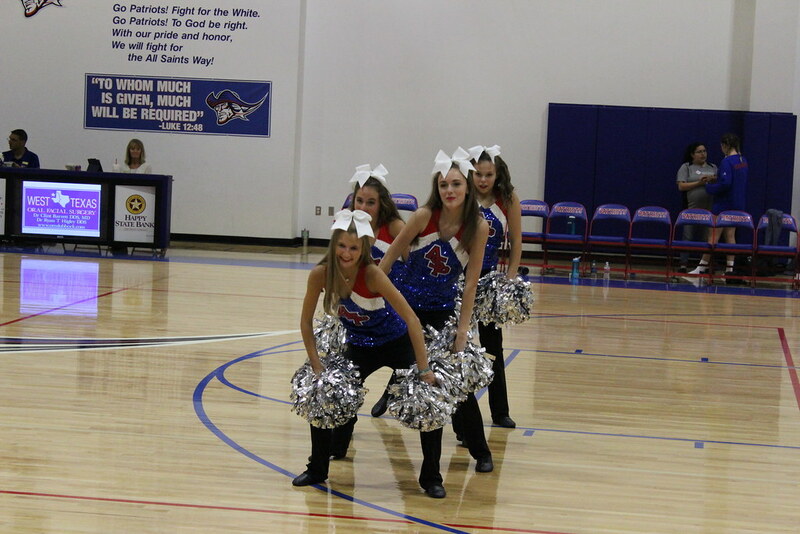 Each pep rally and game was filled with patriot pride and the cheerleaders lead the charge. 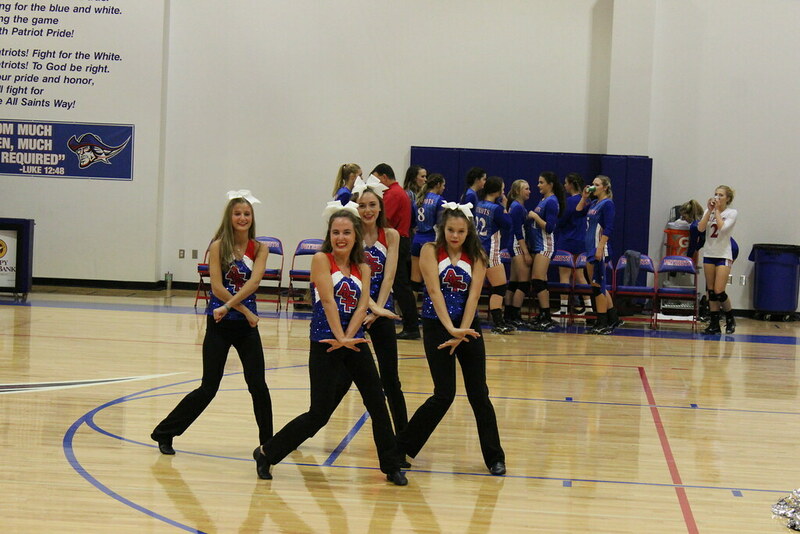 The cheer team made their first appearance at the State competition. Although they did not place, they worked hard and represented All Saints well. 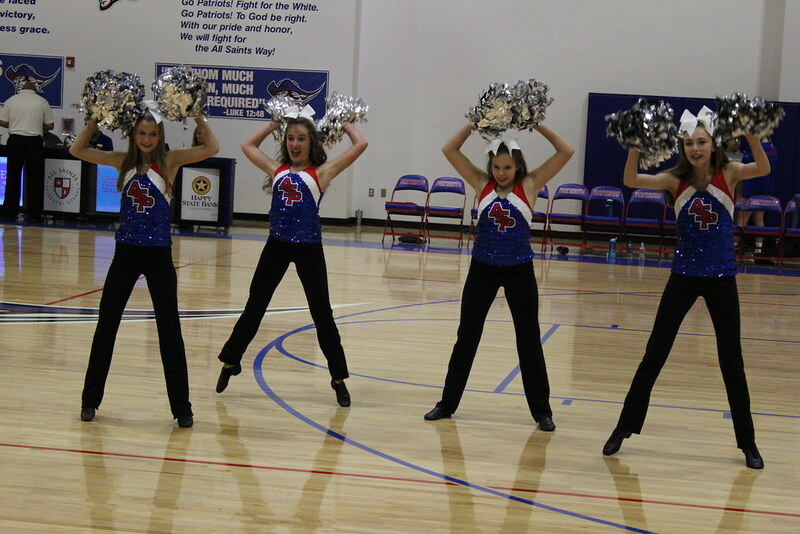 They have cheer in their hearts and are ready for another great year ahead! Go Patriots!